With reliable performance and long lasting battery life you can easily surf, stream and stay in touch with what matters most. The HP Notebook 14-bs077nia​ ​​Laptop helps you manage tasks and entertainment with the efficiency you need. It makes for an excellent piece of engineering to be taken to work. This laptop is run by a powerful Intel Celeron N3060 processor that ensures a hassle free usage anywhere, anytime. A 4GB RAM provides quick access to all the apps, features, and folders and makes up for hassle free experience. This HP notebook lets you save all your important files and folders in a well organized and easy to access manner, thanks to its 500GB HDD. 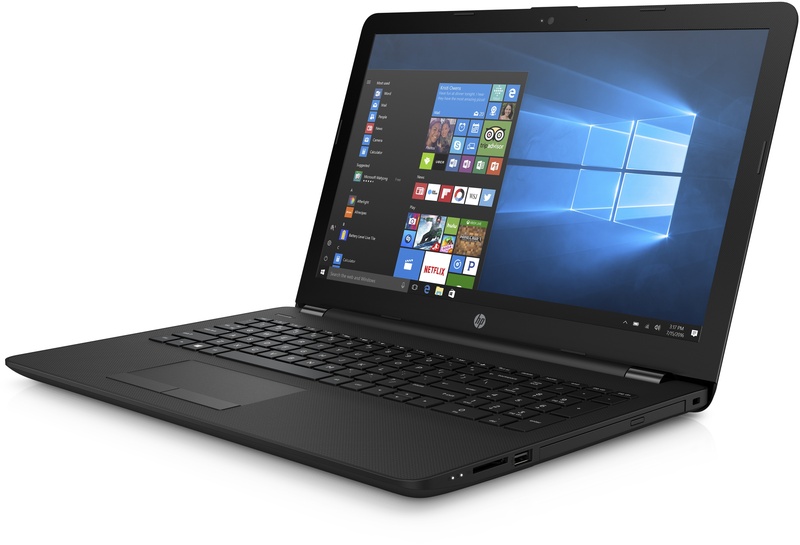 Operating on Windows 10 OS (sold separately), this HP 15 laptop helps enhance your productivity and explore new horizons. Watch movies and favorite TV shows on the 15 inch, WLED backlit display, which renders HD images and pictures. Also, a built in Intel HD 400 graphics adapter further enhances the quality visuals of and thus improves the overall visual experience. This HP 15 laptop features an English keyboard that accounts for comfortable typing sessions. All the more, this HP 15 laptop has a four cell, 41Wh battery, which makes sure that you go unplugged for hours on end. This Hp Notebook is powered by an Intel Celeron N3060 processor accounts for an excellent platform for multitasking and entertainment. The 1.6GHz, Dual Core CPU helps you makes working on projects easier. Backed by 4GB, DDR3L SDRAM ensures lag free multitasking for enhanced productivity. A massive 500GB internal hard drive offers sufficient space to store all your favorite movies, songs, and work related files. The Notebook's 14 inch, Full HD display gives you superior visual experience at 1366 x 768p HD resolution. Built in Intel HD 400 graphics card offers a better viewing experience for work and play. The DTS Studio Sound, with dual speakers, takes you right in the middle of the concert. The RJ 45 port lets you tap into wired broadband connection to offer faster download and uploads. The 802.11b/g/n WiFi connectivity enables quick set up of wireless internet connection. Bluetooth v4.0 support for quick and convenient wireless sharing. The HDMI port to project the content on a bigger screen. Equiped with Two USB 2.0 ports for connecting compatible external devices. The USB 3.0 port to plug in high speed portable HDDs and flash drives and share data at blistering fast rates. 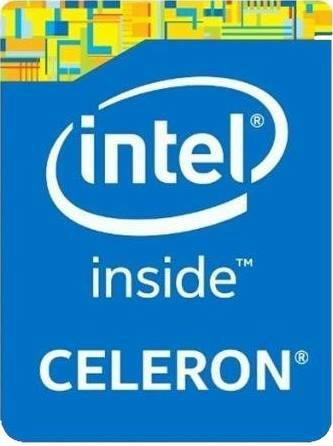 The Intel Celeron N3060 is a low-end dual-core SoC for notebooks, which has been presented in April 2015. It is clocked at 1.6 - 2.48 GHz and part of the Braswell platform. Thanks to its new 14 nanometer low-power process (P1273) with tri-gate transistors, energy efficiency has been significantly improved compared to its predecessor architecture Bay Trail. The N3060 is successor (refresh) to the Celeron N3050 and compared to it it offers a improved Turbo clock rate (2.48 vs 2.1 GHZ). In addition to the CPU cores, the SoC offers a DirectX 11.2-capable GPU as well as a DDR3L Memory Controller (2x 64 bit, 25.6 GB/s). At about 1.3 mm, the chiclet-type keyboard features only slightly less key travel than a "standard" notebook at 1.5 mm, but it certainly feels like even less. The keys are flat textured plastic with slightly below average feedback. The stop at the end of the key stroke is rather abrupt, but the noticeable keyboard flex lessens the perceived harshness. The rather large clickpad allows the fingers to glide easily and offers simple touch-gesture support (for example, scrolling with two fingers) as well. Right clicks are only recognized at the bottom third on the right side; left clicks on the other hand trigger at the upper edge of the pad on both the left and right side. Order the HP Notebook 14 today and have it delivered to your doorstep within 1-3 working days or same day delivery within Nairobi. Payment on delivery.